Ashiatsu Intro Seated Bar/Floor Routine is an NCBTMB approved 8 CE course. Barefoot Masters® NCMBMT provider number #403532. This seated routine was developed to give massage therapist a quick and easy course to get started with Ashiatsu barefoot massage. It is a complete routine, just part of the Ashiatsu seated routine.No need for bars or any complicated setup. All you need for this Ashiatsu Intro is a mat or massage table. Stool, chair or just sit on the floor. Use a face cradle off a massage table or do it on your massage table. Be sure to select the right course for your state. LA & FL have special state requirements. Everyone else will choose All Other States. 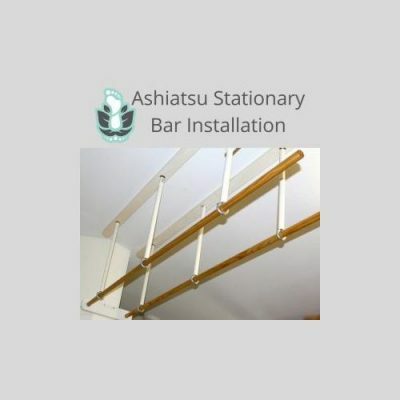 Ashiatsu Intro Seated Bar/Floor Routine is an NCBTMB approved 8 CE course. The seated routine gives the massage therapist a quick and easy intro to using their feet. It’s the seated 15-20 minute warm-up routine for the floor and then for the massage table. In addition, the intro will help LMT’s get a feel for Ashiatsu. Also, it will help them to decide whether to take the Ashiatsu Floor or the Ashiatsu Bar class training. The course comes with or without Ethics. Ethics will give 6 more CE. Ashiatsu Bar is a fast and growing barefoot technique. Massage therapists learn they need other tools to save their hands. Deep tissue wears the hands out fast. You use your feet to do the walking, so why not use them on your clients. Remember when your kids walked on your back and how good it felt. It still does, except we don’t walk on the back. Instead, we use long gliding movements that mimic giant hands. Feet are in use in such a way; the client can’t tell the difference and wonder which you are using. Ashi means “foot,” and atsu means “pressure.” Together it means foot pressure. This form of barefoot massage finds its root in Chavutti Thirummal from India. It was energy based. Ashiatsu is a westernized version which is muscularly-based. It is a blend of compression, structural integration, and deep Swedish massage. Furthermore, we offer the complete training program via live seminars, online courses as well as a home study. Also, check out our live course calendar. For those who want to get a jump start on a live workshop or are a DIY, we have the self-paced online and home study. Michelle D. Mace a 20 year veteran of massage therapy is the CEO of The Barefoot Masters®. A company that develops continuing education to save hands. With 30 instructors worldwide, we are the largest barefoot provider in the country. Barefoot massage is not the only techniques we teach. Bamboo for table or chair, Fijian, Hot Stones, 123 Facial Massage and more. 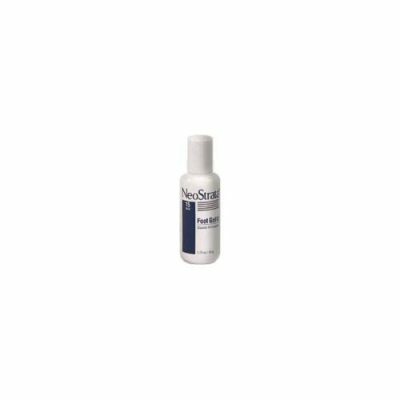 Neostrata – Foot Gel AHA 15 – 1.75 Fl. oz.